A Year of Being Here: Rick Kempa: "Call It Ours"
"Call It Ours" by Rick Kempa. Originally published as "All We Want Is a Path" in Keeping the Quiet (Bellowing Ark Press, 2008). © Rick Kempa. Reprinted by permission of the poet. Art credit: "Self-portrait: Looking out at the Emmons and Winthrop glaciers [near Mt. 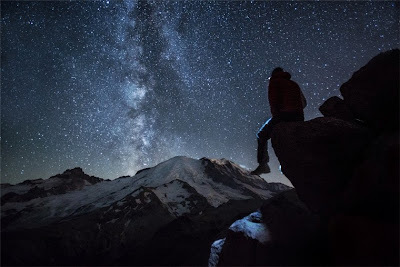 Rainer]," photograph by Luke Humphrey.